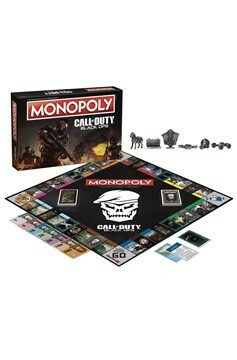 Take your chances and turn over your Intel in Monopoly: Call of Duty: Black Ops play as Intel Case, RC-XD, Dragon Fire, Capture the Flag icon, Attack Dog, or Firebreak's Helmet! Earn your Prestige with custom designed Monopoly money! 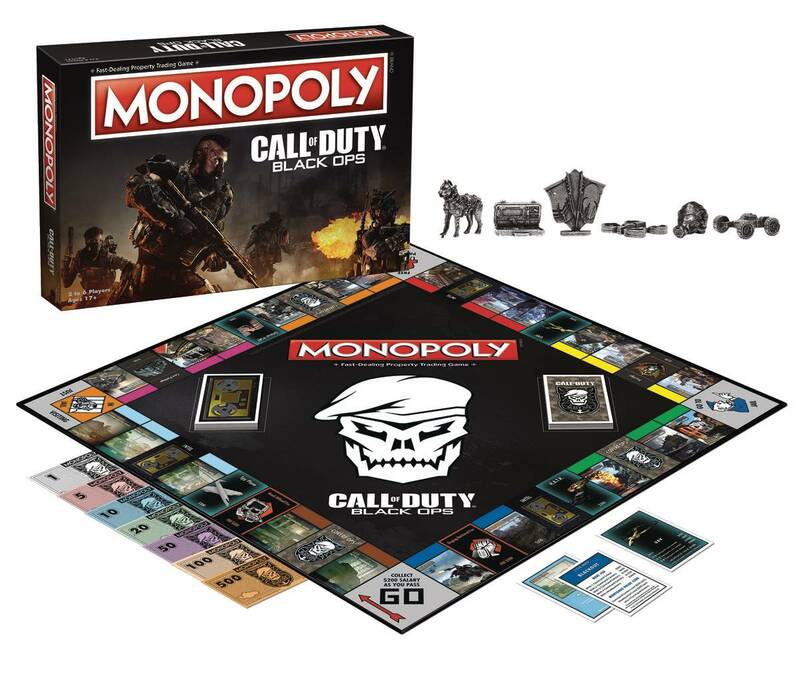 Fight your way around the custom Call of Duty: Black Ops game board featuring your favorite multiplayer maps from Black Ops 1, 2, 3 and 4!.